The newest serial killer in New York is using a high-powered laser rifle, from a considerable distance indicating a high level of skill, and choose victims that at first glance seem to offer no obvious attraction. The first attack is on ice skaters in Central Park, with three victims: a young woman who's a competitive skater, an obstetrician, and a man celebrating his birthday with his wife. None of them seem to have any enemies. It might be completely random. Then there's a second hit, with four dead and one wounded, and a pattern starts to emerge. This is definitely a serial killer, and the killer is an exceptional marksman. Over just a few frighteningly intensive days, Dallas, her crew, and and the entire NYPSD parse the the clues and rush to find the killer before the next hit. And while they're racing the killer, they're also counting down to Mavis and Leonardo's baby daughter Bella's first birthday. 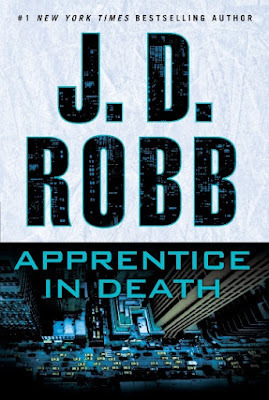 The characters continue to grow and change in this entry, as Dallas begins to let go of some of the trappings of her pre-Roarke life, Roarke begins to accept more fully that he's not the criminal outlaw he was when he met her, and even Dallas and Summerset begin to accept they're important to each other as well as both being important to Roarke. Another satisfying entry in the long-running series. Recommended.